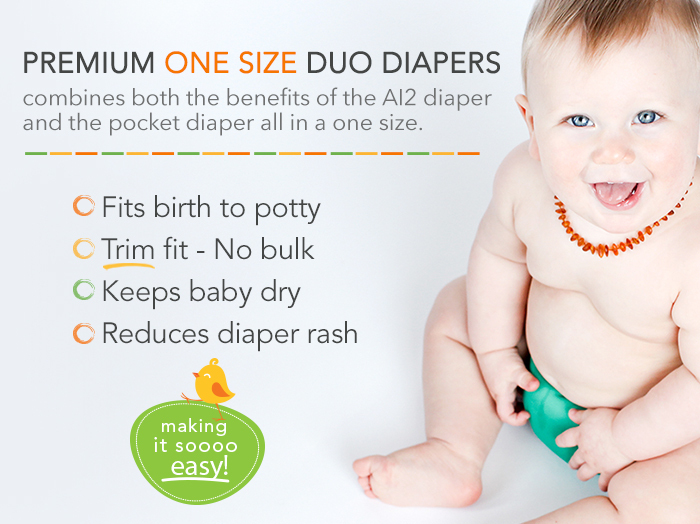 The intelligent snap placement of the one size duo diaper allows you to have three different rise options and multiple tummy and thigh settings for a custom fit from birth to potty training (7-38lbs). Get all the latest information on Events, Sales and Releases. Occasionally we do have a seconds sale and will notify all newsletter subscribers first.